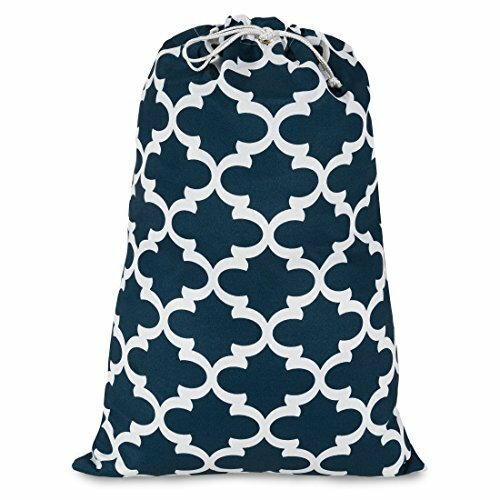 Whether you are taking your laundry from one room to another or from your dorm to your parent's house, Majestic Home Goods Navy Trellis Laundy Bags make your weekly chore simple and fun! Featuring a drawstring chord and water and stain resistant fabric, this bag was made with durability in mind. Our patterned laundry bags can hold up to two loads of laundry and are made with a 100% Polyester fabric.